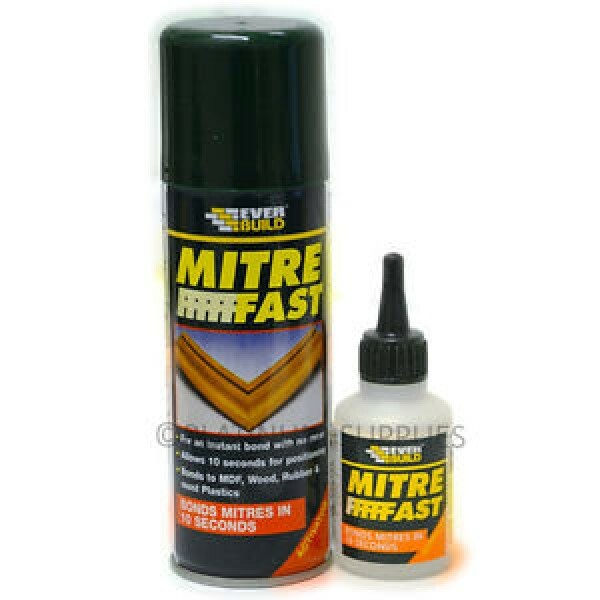 EVERBUILD MITRE FAST is a two pack system comprising an extremely high viscosity ethyl cyanoacrylate adhesive (50g) a 200ml aerosol activator. 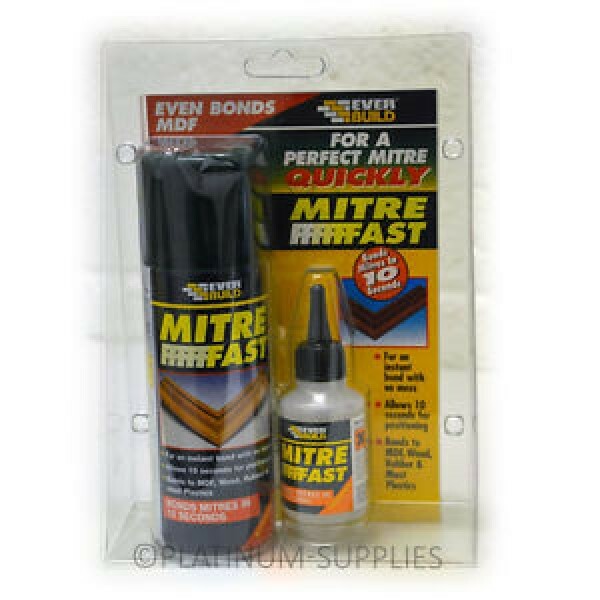 Used primarily for instant bonding (10 seconds) of wooden mitre joints, with numerous other uses. 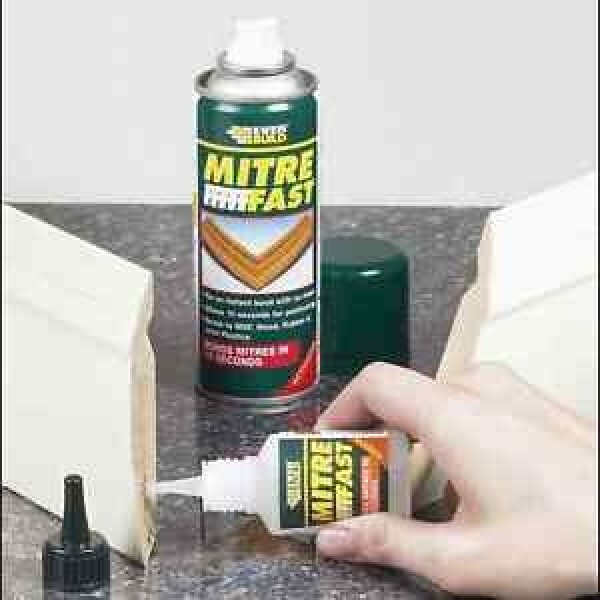 Flash setting formulation - bonds most surfaces within 10 seconds, cutting down dramatically mitre assembly bonding times when compared to conventional wood adhesives. Multitude of industrial applications: Bonds MDF, wood, chipboard, rubber, plastics, Perspex, uPVC ceramics, aluminium and metals. Ideal for all cornice and profile mitres, trims, picture frames, MDF, skirting and architrave joints, worktop end strips, PVCu trims and much more. It is particularly useful for production lines such as electronics assembly and uPVC window trim bonding. The surfaces to be glued should be clean, dry and free from dust, grease and other contaminants. Materials should be stored in a warm environment prior to bonding to avoid chilling of the glue line, which leads to extended setting times. Where possible, ensure working environment has a relative humidity of 50% +. Spray one surface with activator. Apply adhesive sparingly to other surface. Bring together, position and hold for about 10 seconds. Store in original unopened containers between 4 and 25oC. Reseal immediately once used. Protect activator from sources of ignition. Twelve months from date of manufacture in original unopened containers, depending on temperature of storage. As low temperature as possible will give maximum shelf life.